Tracy applies her 12 years of first-hand experience as a manager and director when solving the issues and challenges that her client’s face. With an expertise in developing leaders in dynamic and changing environments, Tracy helps clients to reach their goals and desired outcomes by leveraging strengths and removing obstacles. She incorporates her leadership and development experience to assess performance gaps, conduct needs analyses, and uncover the simple roots of complex problems. She helps leaders across industries to become more successful and engaged leaders, create and implement culture change initiatives, sell change initiatives, and turn around under-performing teams. Tracy believes that collaboration with clients is extremely important and adapts her approach to specific needs and circumstances so that development is sustainable. Tracy understands that organizational transition and change can be deeply challenging and that facilitating the process requires new learning, insight and action. 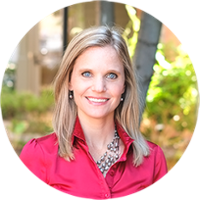 Tracy incorporates an integrated approach to aligning a company’s people, strategy, and culture. Tracy’s applies her experience working as an internal and external coach, combined with her leadership and change management expertise, to assist individuals and teams in working together to overcome challenges and reach their goals. Tracy is currently working toward her Associate Certified Coach credential (ACC).